When you think of galaxies, you first think of glorious pinwheels filled with stars. But now astrophysicists have found something deeply peculiar: what seem to be galaxies in the early Universe with few stars - if they even have any stars at all. It's thought that these star-less galaxies, also known as dark galaxies, might be a very early stage of galactic formation. According to some theoretical models they may have been more common in the early Universe, when galaxies might have had more difficulty forming stars. However, because dark galaxies don't contain stars, just matter and gas, they emit little visible light - making them very difficult to detect and study. Just a few candidates have ever been detected. So the discovery of six new candidates could really help to unravel what dark galaxies are, and their place in the formation of galaxies. It was through a combination of an old technique and new technology that enabled a team of researchers led by physicists at ETH Zurich to make the discovery. The technique relies on the presence of quasars, which are some of the brightest objects in the Universe, powered by supermassive black holes in the centres of galaxies. The light doesn't just come from the black hole itself, but the incredible friction in the accretion disc around the black hole as it falls into it. They give off intense ultraviolet light, which fluoresces nearby hydrogen atoms. This emission is known as the Lyman-alpha line. If a dark galaxy, full of hydrogen, is near a galaxy with a quasar at the centre, it will act as a sort of cosmic flashlight, and this line will show up in its spectrum. This technique has been used before - most notably to identify a number of dark galaxy candidates in the early Universe in 2012, using the European Southern Observatory's Very Large Telescope. But in 2014, a new instrument was added to the telescope, the Multi Unit Spectroscopic Explorer, or MUSE. This allowed the team to peer farther than previous instrumentation had been able to reach, identifying earlier dark galaxies than had been spotted previously. The researchers pointed MUSE at six quasar fields, studying each for a total of 10 hours of observation time. They acquired full spectral information for each of the dark galaxy candidates, and were able to distinguish them from around 200 or so Lyman-alpha emitters as unlikely to be normal, star-forming galaxies. We still don't have solid proof that these candidates are dark galaxies, but they're looking a lot more like it than anything else that we know of. Which means, as predicted in 2012, MUSE could be a powerful tool for hunting out these mysterious objects. Life is infinite.only faithful believers will receive galaxies. While everyone enjoyments would be Forever and evermore. Everything will run desires and wishes of heavenly holders. It's decorations glamorous are enormous glitters magnificent of everything arrangements will surprise believers distinction of tests.colours.beauties of luxurious accommodations and attachments stunner forever and ever and ever more. 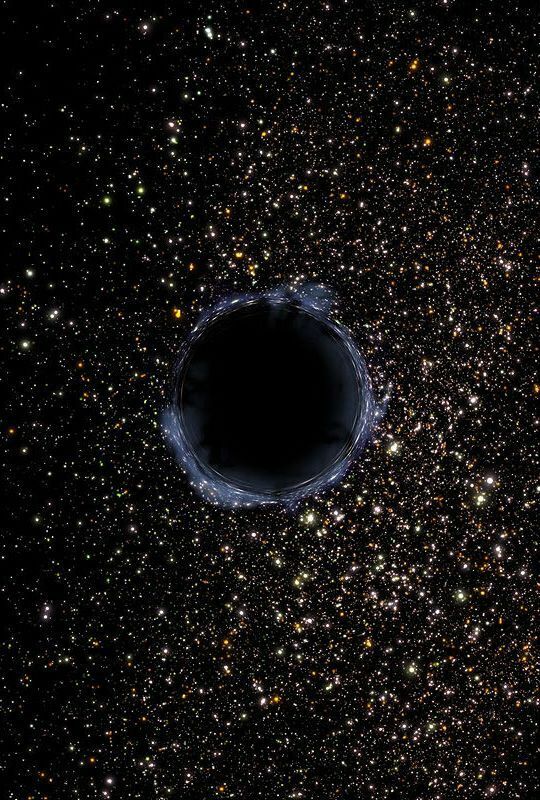 Satiated Super Massive Black Holes that for the most part, have reached their limit.